From TechCrunch: Social gaming company Playdom has acquired Facebook game developer Offbeat Creations. The terms of the deal were not disclosed. Offbeat Creations has developed several popular apps on Facebook including Super Farkle. 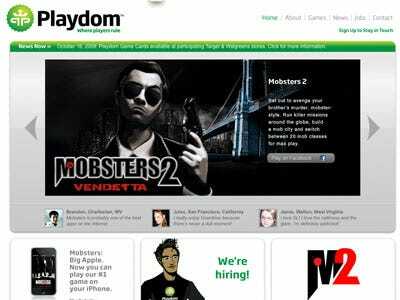 The acquisition will obviously boost Playdom’s presence on Facebook. The gaming company has largely been known as dominant on social network MySpace. Playdom’s lineup of games included Sorority Life, Mobsters 2, Lil Farm Life, Tiki Farm, Tiki Resort, Wild Ones and Poker Palace.